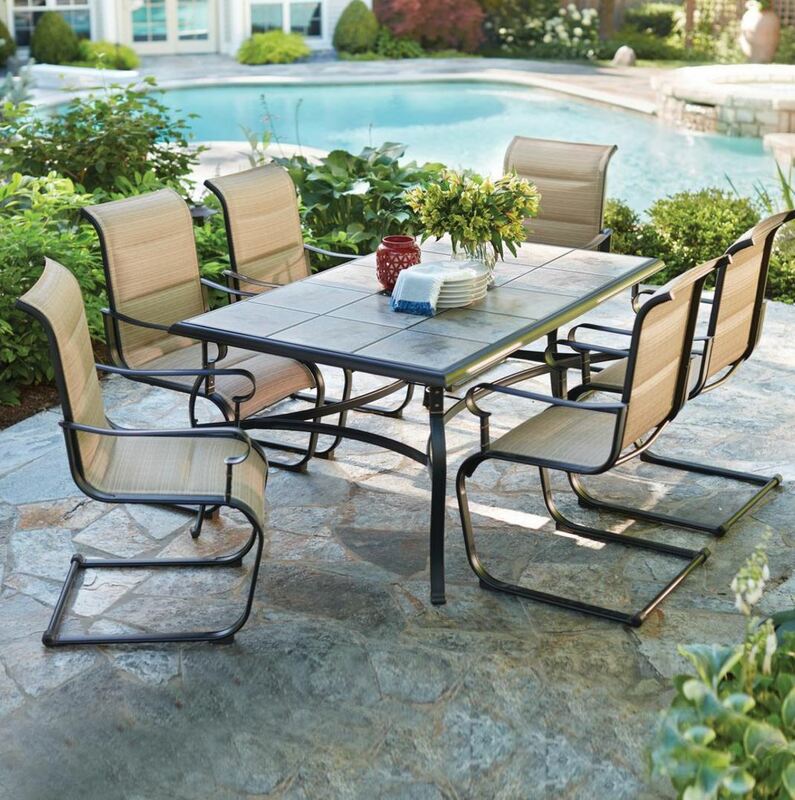 The Belleville Collection from Hampton Bay helps you create the ideal outdoor dining setting for a larger group of people. 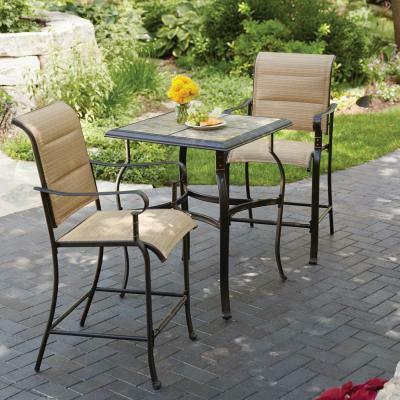 This collection has C-spring padded sling chairs and an elegant tile-top dining table, perfect for outdoor meals or gatherings with friends and family. 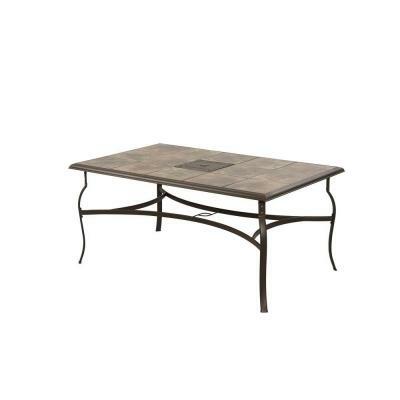 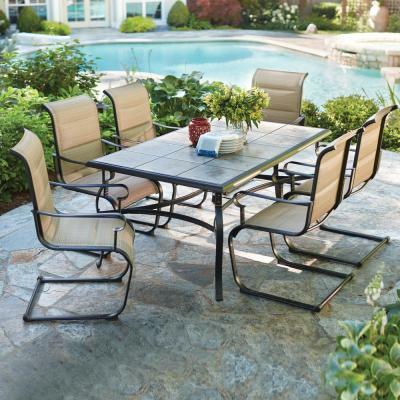 Finished in powder-coated antique bronze, the set brings style to your outdoor seating area, while a rust-resistant steel frame and weather resistant sling fabric incorporate comfort and durability.